Belvoir Park’s Chris Carvill won the UGA Finals Day at Concra Wood GC on Wednesday. 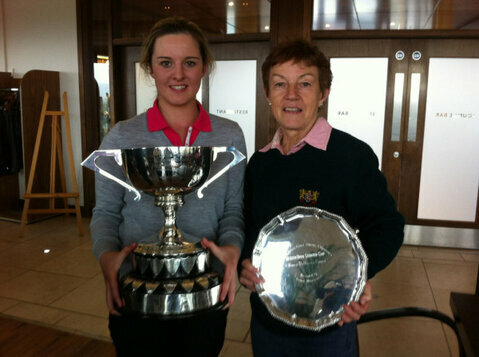 Carvill carded a two under par round of 70 to win by three shots at the Christy O’Connor Jnr designed course in Castleblayney, Co Monaghan. Six players finished in joint second place – Phil Collins (Galgorm Castle), David Hughes (Massereene GC), Philip Farrell (Laganview Golf Centre), Ricky Whitford (Knock GC), Gary Wardlow (Spa GC) and Damien Mooney (Damien Mooney Golf). Chris got off to a bright start with birdies at the second and fourth getting him to two under. He dropped a shot at the fifth when he failed to get up and down from the side of the green but finished the front nine with four steady pars to be out in one under par 35. His par run continued until the 13th when he collected his third birdie of the day, pitching to tap-in range. A double-bogey at the par-five 15th, when he found water off the tee threatened to derail his chances but he finished strongly with birdies at the 16th and 18th to sign for a back nine of 35 and a two under par total. Loughgall’s James Curran won the amateur nett prize with 38 points edging out Brian Matthews (Lurgan) and Harry McKee (Knock) on break-of-tie. The gross amateur prize went to Kirkistown’s Geoff Edgar who finished with 31 points. Lurgan professional, Peter Hanna, guided his amateur partners of Brian Matthews, Paddy Meehan and Kevin McKavanaghan to success in the team event. 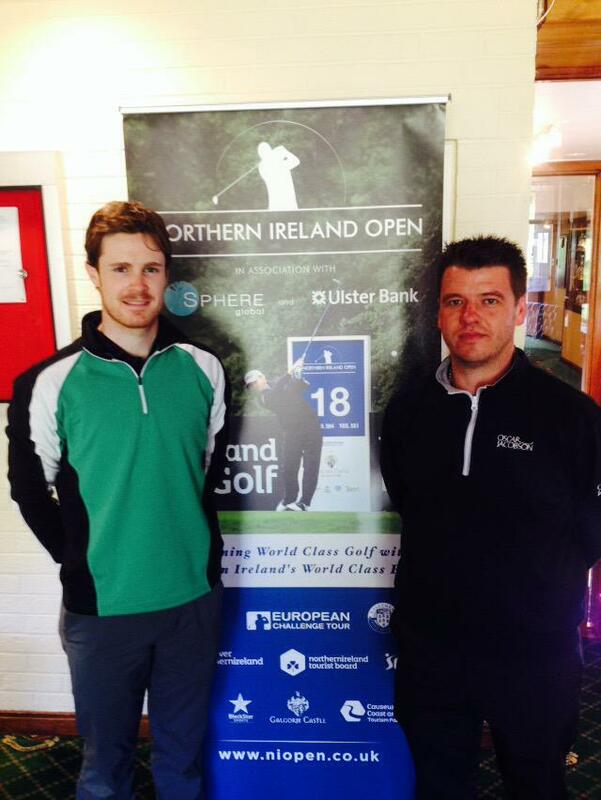 Chris Carvill (Belvoir Park GC) and Gary Wardlow (QUB) battled high winds and a strong field at Knock Golf Club to earn their spots in the 2015 Northern Ireland Open in association with SPHERE Global and Ulster Bank at Galgorm Castle from August 6-9. Belvoir Park assistant professional Carvill was the only player to break par in very windy conditions around the East Belfast layout signing for a one under par 69 that left him three shots clear of Wardlow, Chris Carroll (Shandon Park) and Damian Mooney (Ballyliffin). With only two qualifying spots on offer, the trio embarked on a sudden-death contest down the 330 yard par four first. After all three players drove close to the green Carroll hit the best pitch, into 10 feet with Mooney 15 feet away and Wardlow furthest away at 18 feet. However, it was Wardlow who grabbed the golden opportunity, rolling in his putt for birdie and when Mooney and Carroll failed to convert their chances he had secured his spot in the Challenge Tour event. The NI Open has captured the imagination in recent years with record crowds attending Galgorm to see the likes of tournament ambassador Michael Hoey and other household names in action. “We are fortunate the NI Open holds a key date on the international schedule and will be looking to attract the game’s top players to Ballymena at the start of August for what promises to be another festival of tournament golf right here in Northern Ireland,” said Gary Henry, Managing Director Galgorm Castle Estates and NI Open Tournament Director. Next week, Redditch GC in England will host the second Professionals’ pre-qualifier when over 60 players will battle it out to earn two places available for the NI Open. In addition, amateurs will also get their chance to qualify for the NI Open through the annual North of Ireland Amateur Strokeplay played at Galgorm Castle.